Can I Recover Data from My HP Flash Drive? Hi, I wanted to make a recovery flash disk for my HP mini 110-1131DX tord. My operating system is Windows 7. Is there a solution? Thanks. To retrieve lost data from your HP flash drive, you’ll need to stop using the flash drive immediately. Otherwise, the lost data could possibly be overwritten by new data. Next, find a HP data recovery program on the Internet. 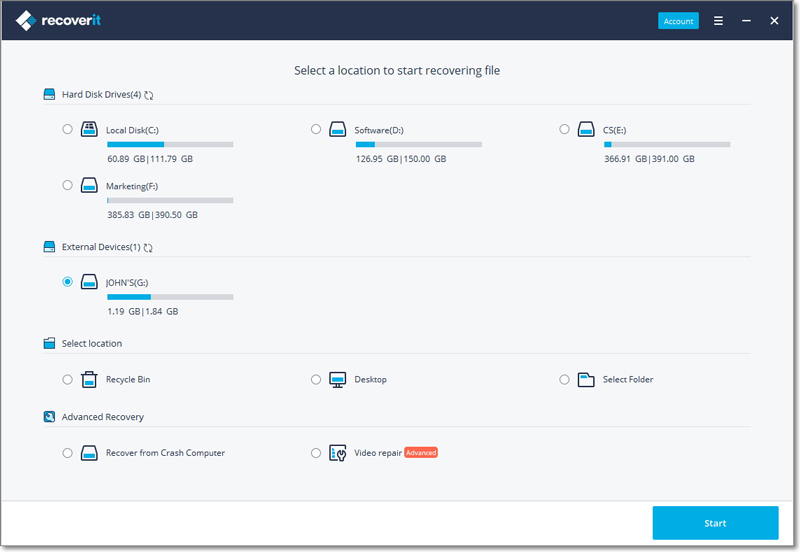 Here is my recommendation: Recoverit data recovery. This powerful HP Flash Drive Recovery tool enables you to recover lost files from your HP flash drive with ease, whether your files are lost due to accidental deletion, mishandling, a system error or another reason. With this HP data recovery program, all you need to do is scan your HP flash drive and select files to recover. 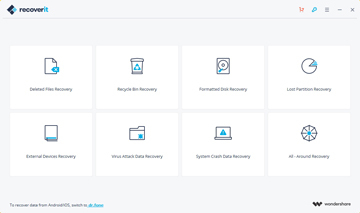 Download and install Recoverit Data Recovery on your computer, connect HP flash drive to the computer. 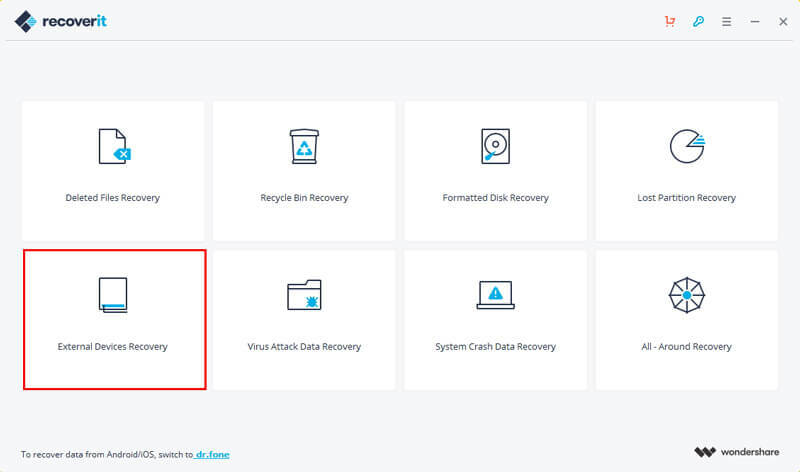 Launch Recoverit Flash Drive Recovery and follow the next simple steps to recover data from HP flash drive with "External Devices Recovery" data recovery mode. Step 1. Please select "External Devices Recovery" data recovery mode to get started. Step 2. Make sure that your HP flash drive is properly connected to your computer. Select Your HP Flash Drive to Scan for Lost Data. Step 3. Recoverit data recovery will start a quick scan. If it cannot find your data please go to scan with "All-around Recovery" mode which will deeply search more files and take more time. When the scan finishes, all found files will be displayed on the left of the program window. Check whether your files were detected by file name or file path. You may also preview some file types like photos. Select the files you want to restore and click "Recover" to save them to your computer. Note: For recovery safety, please do not save the recovered files back to your HP flash drive. Select a new device or a destination on your computer to save them.